April 10th from 03:15 AM EST to approximately 03:35 AM EST. Please note the site will not be accepting payments during this time. We apologize for any inconvenience this may cause you. Please return to our site after the maintenance has been completed in order to complete your payment or setup your account. 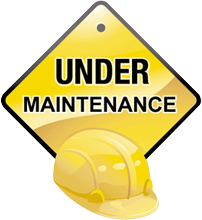 Thank you for your patience and understanding as we undergo this system maintenance in a continued attempt to improve our services to you. Thank you for using ClickPay and have a great day! Copyright 2017 © ClickPay - A Division of NovelPay LLC. All Rights Reserved.